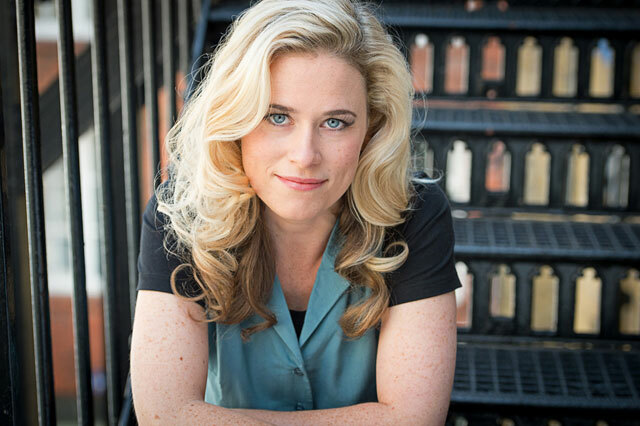 Katie Brayben is a familiar face on the West End. After a stint in American Psycho she has recently been impressing audiences with her performance as Princess Diana in the award-winning play King Charles III. She is about to originate the part of legendary singer songwriter Carole King in the UK, in Beautiful – The Carole King Musical. The show has already proved a smash on Broadway and now comes to London, playing at the Aldwych Theatre from 10th February. We caught up with Katie to find out how she intends to tackle the part of Carole King, and if she has any favourite songs, as well as what it’s like playing real people. Is it at all daunting to be originating the part of Carole King in the UK? Yes of course, but it’s more exciting than daunting. I can’t really take on the pressure and expectation that comes with being in a show that’s done so well already, I’d have a heart attack. So I’m just treating it like I would any job and doing all the work I can, and hoping for the best! It’s such an amazing cast and the creative team have been so supportive. Were you a fan of Carole King before auditioning for the part? I’m a big fan of Carole’s, I always have been. I write songs myself. I don’t think you can be a writer and not be inspired by her. Her songs are just so clever and full of emotion. They have so much heart. Much like the woman herself. Is musical theatre your favourite genre to work in? Whenever I’m doing a play I think ‘ooh I’d love to have a sing’, and when I’m doing a musical eight shows a week, I sometimes want a break from singing every night. There is nothing like a character expressing their inner thoughts through song. I love it. And singing with a band is so much fun! But I don’t have a preference. I’m just excited by interesting, relevant pieces regardless of the genre. How would you describe the character of Carole King as she’s written in the show? She’s very warm, confident in her work but always guessing in her personal life. I’d describe her as someone who’s conflicted. She is this confident musical genius but a shy performer. She’s a loving wife and mother who’s greatest desire is for everyone to be happy. Katie Brayben. Credit: Craig Sugden. What can you tell us about the story, without giving too much away? It’s about her relationship with Gerry Goffin, who she penned many songs with, and was married to at the tender age of 17; and about their relationships and competitiveness with Cynthia Weil and Barry Mann. You get an insight into the psyche of the song writers of the time and the pressure to write the next hit and and at the same time keep their marriage working through the 60s: a time where writers and musicians were throwing off the rules and traditions of the older generation and were being freer with their affections. Besides the devoted Carole king fans, what sort of audience do you think will relish the show? Honestly, anyone. I think a lot of people will relate to the story, especially Carole and Gerry’s heartbreaking relationship. And if you didn’t know their songs before, what a joy to experience them for the first time whilst getting to know the writers. Do you have any favourite songs in the musical? I love singing ‘You’ve Got A Friend’ and ‘Beautiful’. Carole talks about those songs really coming through her as she wrote them, like flowing out, and I feel that performing them. Beautiful words of positivity with a lot of heart. You have also played Princess Diana in King Charles III. What are the plusses and minuses of playing a fictionalised version of a real person that audiences have strong preconceived ideas about? I really think you have to do what you feel is right and not worry too much about people’s preconceptions. There will always be another way you could have gone, a different approach to your character. I think it’s really important to trust your instincts and research and listen to the director and then whatever comes, comes. The person you’re playing will inevitably be somewhat at the mercy of your interpretation but that’s the beauty of playing someone else. It’s a gift. For more information about the show, and to book tickets to see Katie Brayben play Carole King, see http://beautifulinlondon.co.uk/.